Although Phuket itself is one of the most beautiful islands in Thailand, many other islands around Phuket also gravitate tourists towards them. 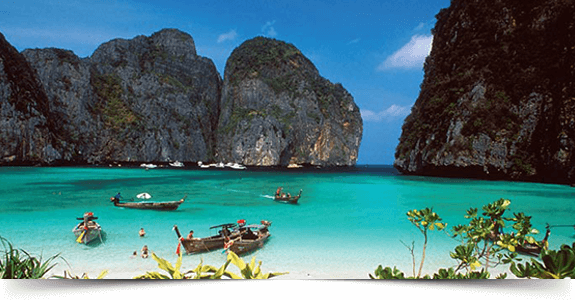 Phuket is a hub of paradise from where you can move to different islands for enjoying the scenic view of the Andaman Sea. If you are a nature lover, you should never miss the extraordinary beauty of Phi Phi, Phang Nga, Koh Khai, James Bond, Panak, Naka, Similan, Surin as well as southern islands. Every island is iconic for its appearance, and a wide range of attractions of islands will persuade you to visit them. You can launch your trip by speedboat or longtail boat to some nearer islands, but you will enjoy much more by cruise or yacht for distant islands. For your fantastic journey, we have arranged tours by catamaran, leisure cruiser, Chinese junk, yacht and speedboat. On the top of that, ‘Liveaboard diving boat’ will encourage you to explore more islands. 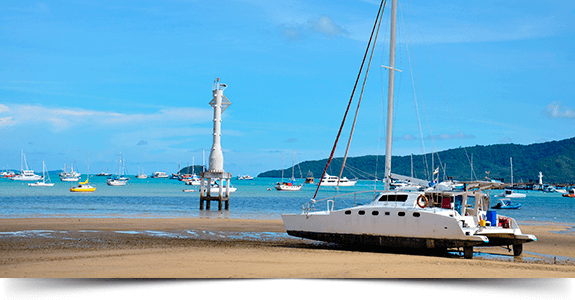 Discover the bays, capes, coves of Phuket Island by a Leisure Cruiser. 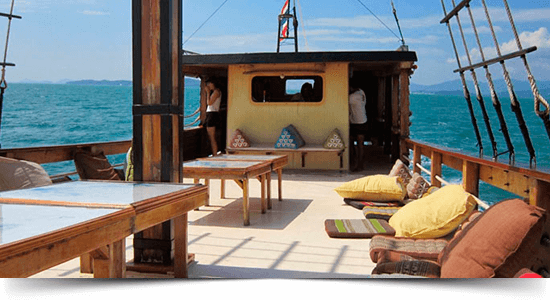 You will enjoy the extraordinary scenic view and marine atmosphere of Phuket Island from the west to the east coast by cruising the traditional.. Read More. You will never forget the moment of the slow sinking sun below the horizon of the Andaman Sea and the appearance of the sky in the evening at Phang Nga Bay. 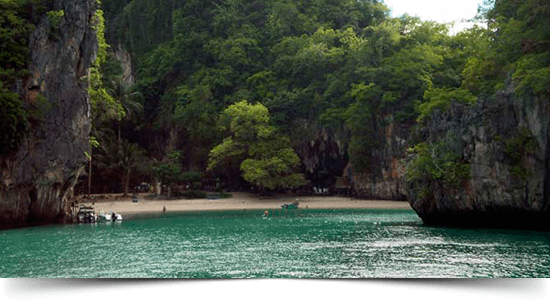 If you visit Phuket, you should not miss the panoramic..Read More. 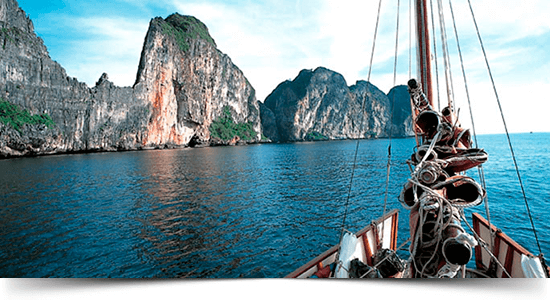 Just think about this tour – while a traditional junk-rigged schooner is gliding gracefully on the greenish water of Phang Nga, you will be enjoying the scenery of sudden high limestone cliffs, green..Read More. 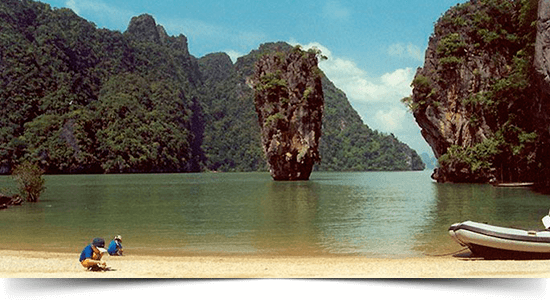 To believe the fantastic beauty of archipelagos and the spectacular sceneries of Koh Phi Phi Lee, Koh Phi Phi Don, Koh Racha Yai, Koh Rok Islands, and Phang Nga Bay, you must explore these..Read More. Through a fantastic four-day tour, discover the beauty of stupendous four islands on the Andaman Sea. 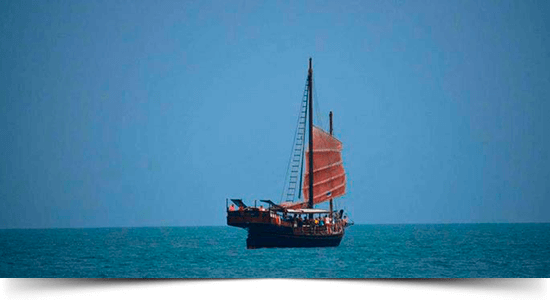 This exploratory expedition by ‘Chinese Junk style boat’ will start from Phuket. However, the.. Read More. Enjoy your tour by the most luxurious sailing Yacht SY Capricorn which is available all year round for cruising around Thailand, Myanmar, and Malaysia. Make your itinerary when and which route you will .. Read More.